'One Nation Under Stress,' With To-Do Lists And Yoga For All Author Dana Becker says that Americans are obsessed with curing stress, rather than identifying and addressing the forces that cause it. Becker explains the origins of the concept of stress, how "stress inflation" is affecting society, and why just eating more kale isn't enough. "I am so stressed out" is a common refrain these days, but if you think of stress as a pervasive fact of life, consider this: Before 1976, The New York Times had never published an article about stress as we understand it today. Our idea of stress — as a personal, internal problem — is a recent invention. 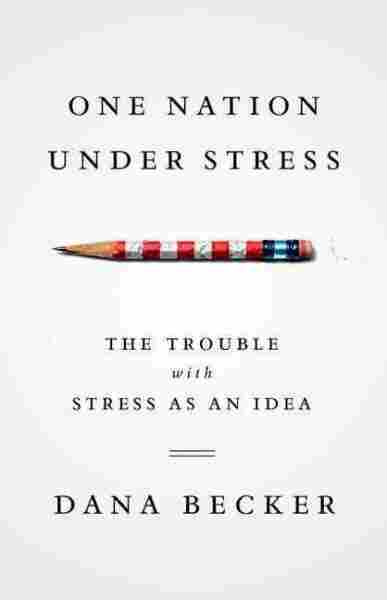 The changing definitions of stress are one focus of Dana Becker's new book, One Nation Under Stress: The Trouble With Stress as an Idea. Becker, a professor of social work at Bryn Mawr, argues that Americans are obsessed with curing stress, rather than identifying and addressing the forces that cause it. Becker talks with NPR's Audie Cornish about the origins of the concept of stress, how "stress inflation" is affecting society, and why just eating more kale isn't enough. "If we think back to the middle of the 19th century, George Beard, who coined the term neurasthenia, was really the first in this country to talk about American nervousness. ... Of course, he didn't call it stress then. But the idea was that a lot of physicians were finding that they had middle-class patients who seem to be falling by the wayside with all of these things they were calling 'nervous disease' at the time. And Beard felt that it was really the fast pace of American life that had really caused people to feel nervous in this way. "... I think that he and folks who came after him had the idea that it was — stress was what was outside, you know, that the conditions were more important to talk about. And then we can certainly talk about the illness, and now it seems that we've shifted, really brought that outside in. So we become preoccupied with risks to our health and our mental health, our psyches, and we lose sight of the conditions that really create the stress in the first place." "It's definitely an idea. It's not a thing out there. It's an idea. And it's an idea that has a certain currency. And it shapes, really, the way we talk, the way we think about ourselves, and the way we think about our relationship to the world, really. "... I certainly can feel it at the moment, you know? I'm doing this interview and, hey, I'm a little nervous about — I could say I'm stressed out. I'm certainly not saying, because people do ask me, you know, 'Are you saying there's no such thing as the experience of stress?' And I'm saying, no, no. We do experience something we are calling stress." It feels like we're using the term to cover just about everything, from a hangnail to the war on terror. "Well, I think, having read a lot of what the media has had to say about stress, it feels like we're using the term to cover just about everything, from a hangnail to the war on terror. But the way that we react to stress also affects the way we are in the world, the way we act, the kinds of options that we have for how to behave. But I don't think anybody is really to blame. It's really about an idea that's taken hold, and it has its cultural moment. "... For instance, let me give the example that I talk about quite a bit in the book. This idea that working mothers are under tremendous stress today, right? There's a huge number of articles about working women's stress, and a lot of advice on what we should do. You know, we should eat more kale, we should do yoga, we should exercise, we should make more to-do lists. So there's a primarily middle-class kind of solution or these solutions to what we see as the, quote, 'stress' problem today. "But unfortunately, that draws us into thinking more about how stress is going to affect, for instance, our health, or our psychological health, than it does to think about, say, the fact that family and medical leave is still unpaid, that the school day is shorter than the work day is, that we still are a society that essentially devalues care giving, that workplace policies haven't kept pace with dual-career families." "I think it's fine. I actually don't think there's a problem. I think it's at both ends, right? You know, we've become so preoccupied with our health and the risks there are to our health that I just fear that it rather obscures, sometimes, what we might be looking at as the social conditions that create the stress. And it can sap us of our energy to do that. I'm not suggesting it's not a good thing for us to take care of ourselves. It certainly is that. "...[It's] really useful to consider, especially now in a world where uncertainty is really king or queen, you know, that we want to control what we can control. And it's difficult for people to think in these large terms, in these social terms. But I guess my argument is that we need to do both, and that we want to understand the part that this whole discourse about stress and this whole idea of stress plays in the way we've come to think about our problems."